What do you do when you feel like you have lost your pizzazz, or your sparkle? Everything’s fine. Except for one thing – I have been feeling as though my life is too busy, and this ‘busyness’ feeling stops me feeling connected and fully engaged with our kids. I’m not depressed, or blue. I just feel a little overwhelmed with how much there needs to be done on a daily basis to keep our household running smoothly, our children well, homework and school assessments in order, nutritious food on the table, the laundry in control, and all those other things that feel as though they need to have been done yesterday. When I realized my sparkle was off doing its own thing, I made the decision that I no longer wanted to feel like this anymore. I felt as though I was watching other people having fun in their lives, and achieving some spectacular things for themselves, and their families. I felt I was observing life, and not actually enjoying or engaging in it. ‘Someone’ had to make some changes. So when you have a problem – what do you do?? Change requires you to get specific about what you want. I know for me personally, I need to take time out – more often. Whether its going and getting my hair trimmed (or styled), or my eye brows shaped, I need to make myself a priority. It sounds simple, but when we have the attitude that everyone else in the family is more important than dear old mum – mum starts to feel a little used and abused, the kids need to understand that they need to be a functional part of family life. Our children are expected to help out. During the week they do simple chores, and then on a weekend, everyone gives 20 minutes to the family ‘working bee’, so that we get 100 minutes of quality cleaning done. Jaden is also expected to help out in some way. They are all old enough to help out and be an active and functional member of our family. Lets face it, home life is also the place where they learn the skills they will need to be a responsible adults. Ways to bring back pizzazz and sparkle into our family life. 1. Must go walking on the beach for at least 1/2 an hour EVERY DAY! 2. Must write for at least 1/2 an hour each day – hope to build up to an hour of uninterrupted writing time. Kindy days more! 4. Organise social events with friends. 5. Stop saying ‘we must catch up’ to friends, and book them into the calendar – just do it. 7. Restart the vegetable garden – I somehow killed the first one. 8. Restart the Sarah Wilson’s – I Quit Sugar program. I might be a little cranky in week 2. Watch out!! 9. Use some of our photos in our home to freshen up our home. A job i have been wanting to do for a while. 10. Compile and organise my own recipe folder from the many recipe books I have on my shelf. I don’t necessarily like all the recipes in the books, so I want to photo copy the ones I do like the sound of and put them in a handy folder. Create a new meal plan! 11. Get back to having ‘family day’ on a Saturday. Put some ideas into the calendar. 12. Schedule more fun in our families, and extended families lives. 13. Ditch the ‘I’m just a mum’ mindset, and get a grip. I have an incredible skill set – I need to work on my ideas. 14. Organise a family (including my brothers, their wives and kids) weekends away. For a long time, I believed a successful family, meant that the house was sparkling, the laundry done and put away, and the kids were perfectly behaved and sparkling clean. I suppose this meant that I was ‘the perfect parent’. Oh, how I have learned that life does not fit in such a box. I worked so hard for perfection, but in reality perfection was never attainable. Perfection, is also impossible when you have a trail of chaos, I mean happy children, pulling toy boxes, play doh and art supplies apart behind you. I have come to a place where I now believe perfection does not exist. I won’t say I haven’t struggled with this – because I have really struggled. Big time. I often found myself incredibly frustrated, and so, I made the decision to focus on what was important. Relationships became my priority!! I worked out that while I like my home to be organised top to bottom, clean as a whistle, the laundry room completely clear of dirty laundry, its impossible – AND my worth is not subject to being able to attain this perfection. Trying to be the perfect parent and the perfect housekeeper is stressful, it breaks down relationships, it causes tension in the home, and it is really unfriendly. I grew up believing that you get all your jobs done – and then you get to play. I have realised that this is all well and good for homework, assignments at school, or working a job, but did you know that a mum can lose herself trying to have a spotless home? Did you know, that the housework will never be finished – its ongoing. There is always something to do. If you don’t pull it together and schedule time to clean the house, and then live your life – the need to do housework will completely consume you. 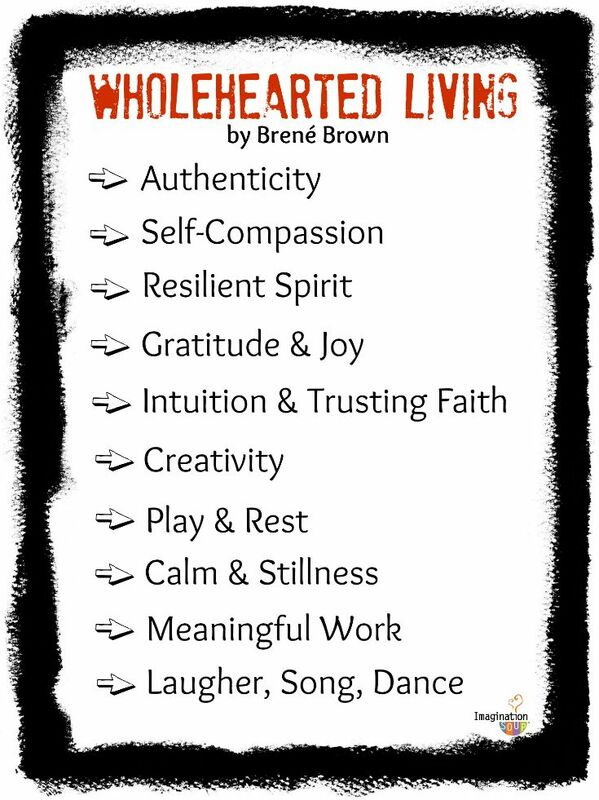 If I am looking for a simpler life, then I need to look at Brene Brown’s ‘Whole hearted Living’ concept. I love that perfect parenting, or perfect house keeping is off the list. 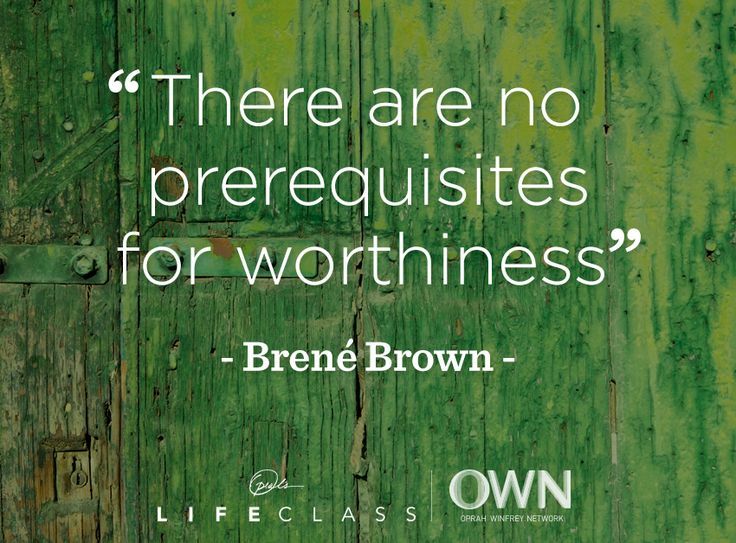 Brene Brown’s books have been a Godsend for me personally. She defines whole heart living by the following characteristics. 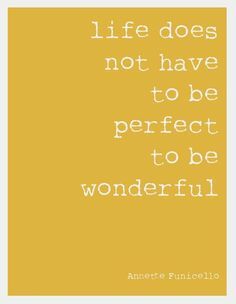 Perfection is no where to be seen – I find this so refreshing!!! The best and most fun times in life is when life is imperfect! You have to always keep in mind what is ultimately important!!! What I want for my kids is a happy childhood – life goes far too quickly. I can’t believe my eldest is 11. She told me yesterday that in exactly 5 months she will be 12. I see her changing and growing into this beautiful little woman. It’s beautiful to see the butterfly come out of the cocoon. It forces you to think about how important it is to have that unstressed home life so that the kids can develop into the people they are meant to be. My role as a mum will change as the kids grow and change – They need me to change with them. My principles will remain the same, but I have to let go and allow the kids a space to grow into the people they are meant to be. At times, this is going to get messy. The perfectionist mindset, is completely unfair to our changing families. I may wear many caps in our household, but I am also a daughter, a sister, and a friend, and I need to live the life I was created to be. What I am finding, in my efforts to simplify our lives is that I am learning to slow down so that I can enjoy the ride, save money, enjoy time with my family, and have special times with my friends. There are so many aspects to a woman’s life, we need to feel free to experience it all, and do the little things that make each one of us feel happy. Remember to stop and smell the roses, read, blog, walk on the beach, and eat well. 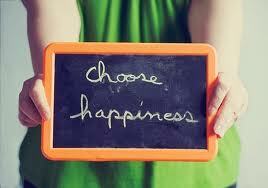 Keep it simple!! I started this post asking how to get pizzazz and sparkle back into our lives? Well, I think I have answered my own question. Perfectionism is not our friend. Whole hearted living is our goal and our plan of action, increase fun in our lives, encourage more time with family and friends, and being grateful for all the little things that mean so much to us. It is a privilege to be a mum, and I want my kids to remember their mum as someone who didn’t expect them to be perfect, but someone who wanted them to be the best version of themselves – whatever that looks like. 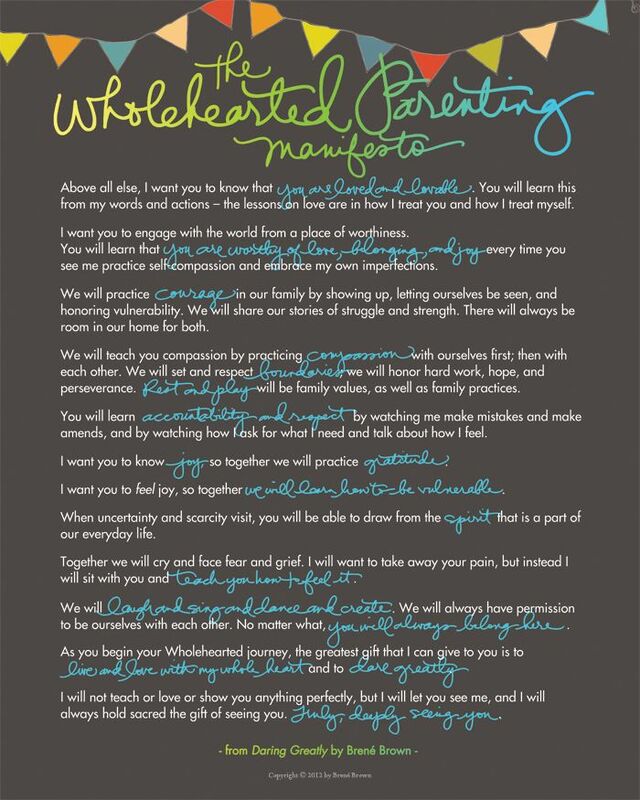 I’m going to leave you with Brene Brown’s Whole hearted Parenting manifesto. I just love this. It really is perfect in so many ways, and so many levels. I hope you find it as beneficial to your family life, as I have to mine. ← Mothers Day. A Day for Mums. A Day for Me.